Welcome to Whitianga, the heart of Mercury Bay! The Mercury Bay area of the Coromandel Peninsula is an area of stunning beaches and bays. Azure blue waters roll onto clean white sands, while protective arms of bush clad hills shelter the bays and further enhance the scenic splendour of the area. Mercury Bay is a very popular holiday destination and during the summer months the population swells considerably. For the rest of the year a relaxed, away from it all, atmosphere prevails. 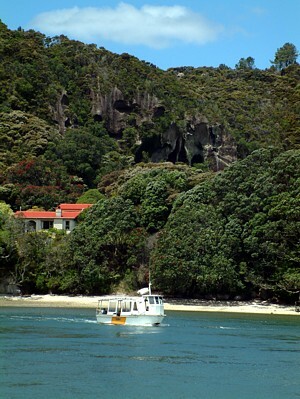 Whitianga is the main settlement of Mercury Bay, an attractive township with a deepwater harbour. The wharf in the centre of town is the departure point for fishing enthusiasts, charter boats and scenic cruising. If taking your own craft, Mercury Bay has several launching ramps. An enjoyable excursion for young and old is the ferry crossing across the river to Ferry Landing. Passengers alight at the oldest stone wharf in Australasia. A short walk up the hill from the ferry leads to Front Beach then on to Flaxmill Bay. You can hire a bike and explore further to Cooks Beach and beyond. There are many fabulous beaches, walking tracks and great scenery to take in. Further south is situated Coromandel's first marine reserve, officially designated in early 1993. It is easily accessed from Hahei Beach and Cathedral Cove. It incorporates the offshore area from Cooks Bluff and Motukorure Island to Hahei and Mahurangi Island. Marine reserves are set aside for the regeneration of the marine environment and this particular area was chosen for the quality, complexity and diversity of its habitats. Guests can book their Scenic Cruise with CAVE CRUZER right here at at Absolute Beachview B&B. South again is wonderful Hot Water Beach, so named because of the hot springs that surface on the sand two hours either side of low tide. You can take a spade & dig your own hot pool. For golfers there is an 18-hole golf course 3.2km south of Whitianga, a 9-hole course at Purangi near Cooks Beach, and an 18-hole course at Matarangi, 21km north of Whitianga. 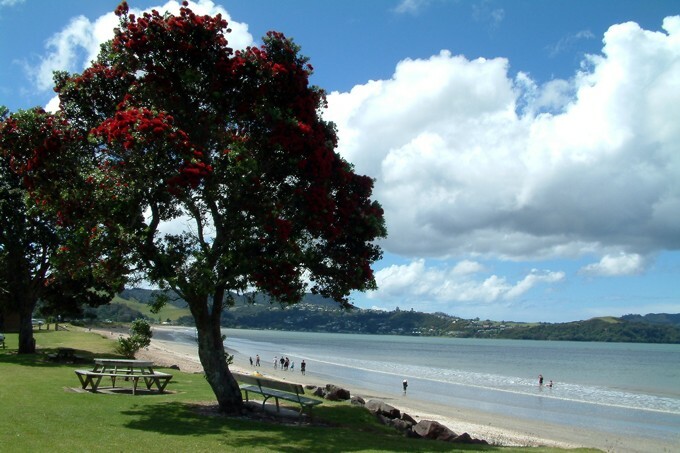 A short distance north of Whitianga is Wharekaho Bay where there is a fine stand of Pohutukawa trees. One of these is a gnarled old specimen that exactly fits a description in the journal of explorer Captain Cook written in 1769. 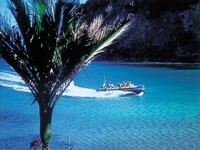 A further 18km north over a scenic winding sealed road is Kuaotunu, gateway to the pristine beaches of Otama and Opito. These beaches are worth the journey but are accessed only by travelling over a steep, winding, narrow, unsealed road. The warm climate and rich soils of the Coromandel promote lush growth and this is shown in the native bush that covers much of the Peninsula. Huge majestic trees, including Kauri that survived the intense milling of last century, have been protected and can be seen by the highways and walking tracks. The famous 309 Road connecting Whitianga to Coromandel Town is a mostly gravel road, very scenic with lots to see and do along the way. An unusual square Kauri tree is located on the Tapu - Coroglen Road. In the spring the yellow flowers of the Kowhai tree break the green of the forest while the red blossoms of the Pohutukawa tree provide a flaming brilliance at Christmas time. Come and enjoy the beautiful Mercury Bay with us!